London, 25 May 2017 -London/Monaco - In the latest edition of Colocation Markets Quarterly, reveals a busy start to 2017 in Europe, and with number of larger deals, and new builds in process, BroadGroup forecasts a strong 2Q through to mid-year. Overall, demand is strongly driven by cloud both hyperscale cloud players and smaller cloud players. Frankfurt has been particularly active over the first quarter, attracting further investment in facilities and expansion to accommodate new demand especially from China and the Gulf – including Iran. Despite underlying concerns about the outcome of Brexit negotiations amongst some corporates, London remains resilient and still accounts for the major percentage of the European market. Power take-up for example is currently three times that of Paris. Start-up hub, Tech City now competes directly with Paris and Frankfurt. Government sector demand continues to sustain the market in France but power will likely remain problematic in and around the Paris area at least until the outcome of the Olympic bid is announced. In the meantime the government has reserved a large amount of available power in the northern part of the city to cover the eventuality that it wins the bid. Outside of Paris regional demand is strong, with further investment in Marseilles with its major connectivity links to Africa and in Lyon a new €6 million data centre is completing and a further €20 million facility has been announced. Amsterdam remains an important choice for expansion into Europe and BroadGroup reports some major builds, such as EdgeConnex Hoofddorp site with its potential for 43MW. BroadGroup reports accelerated momentum in cloud communities both locally and globally with a marked growth of eco-systems; increased growth of interconnection between cloud, content and network customers. Data protection issues are playing an even more important role as new legislation appears such as GDPR across EU member states, and the recent Digital Republic bill introduced in France. It also sees US players establishing services in Europe service for data storage and access close to users. 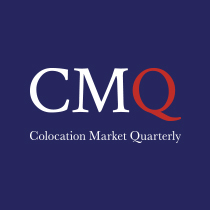 Colocation Markets Quarterly uniquely tracks deals done in each market, power availability, supply, data centre utilisation and user analysis by vertical sector with comparisons to previous quarters, and commentary.